The MPC Studio Black is a fresh take on the top-selling original, MPC Studio. We made the Studio look cooler than ever by introducing a sleek and stylish black brushed-aluminum body. To elevate the parameter editing experience, the master encoder wheel as well as the Q-Link knobs have been raised and made larger. The 16 RGB MPC pads are now thicker and more responsive, inspiring greater expression in performance and programming. The Studio Black fuses legendary MPC production with the processing power of your computer. Its compact design is a minuscule 1.5” thin. Weighing in at less than two pounds, the Studio Black easily fits into a laptop bag or backpack. Its USB-powered and includes the powerful MPC Software for Mac and PC with 128-track sequencing capability. 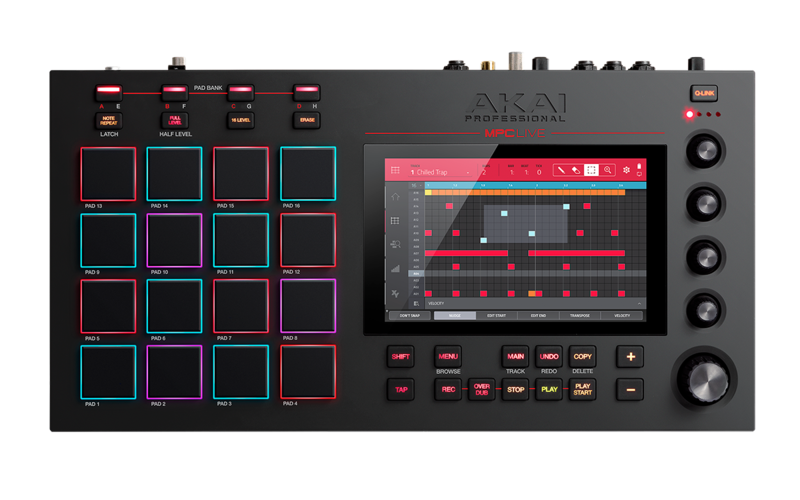 Equipped with the legendary MPC workflow, MPC Swing, plus powerful features such as “lazy” chop, you’ll be producing great music in no time. A large LCD screen (360 x 96 dot graphic LCD) allows you to make tracks without having to look at your computer. 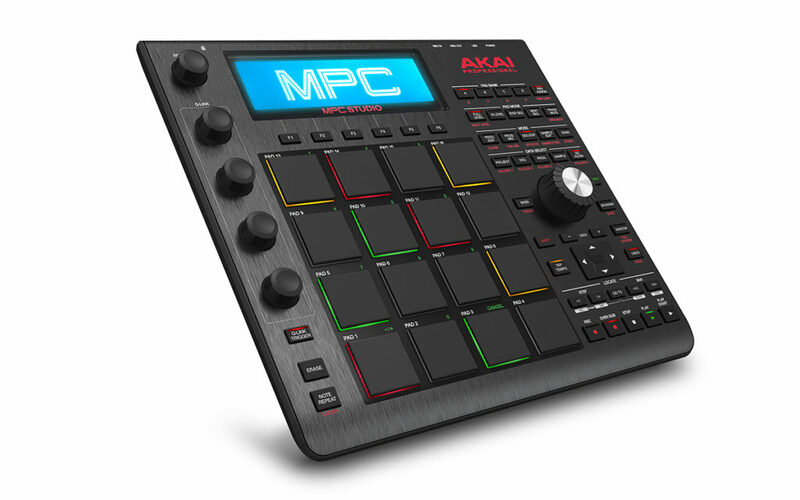 Featuring 128-track sequencing capability and up to eight pad banks–more than any other MPC ever—the included MPC Software delivers a massive 7GB+ sound library, including all the sounds of the classic MPC3000 and including 2 MPC Expansions. Instant mapping and real-time adjustment of VST plugins lets you record each track as an MPC drum program, Keygroup program, or VST/AU plugin. Use MPC Software alone as your main creation tool or seamlessly call it up in your favorite DAW as a VST, RTAS, or AU plugin. MPC Software supports WAV, MP3, AIFF, REX, and SND, as well as samples and sequences from any MPC ever made, and it’s compatible with both Mac and PC. 7 Gigabytes. 300 Instruments. The Bank is an MPC Expansion workstation exploding with all the essential sounds of modern production including basses, leads, effects, keyboards and much, much more. It’s included with MPC Studio Black. You also get The 809, an MPC Expansion for punchy analog drums—a full collection of classic drum machine sounds, each with its own controls for maximum tweak ability.